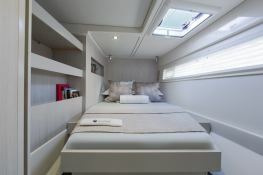 The Leopard 514 is a magnificent catamaran for rent in Florida. 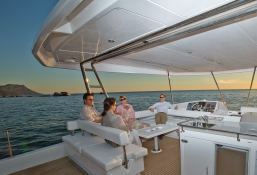 Due to its facilities, its comfort and autonomy it will allow you to navigate without problem to the Florida Keys and even the Bahamas. 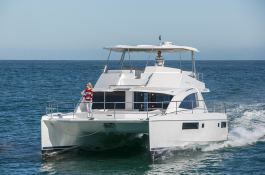 Available in Puerto Rico, this bareboat motoryacht Leopard Power 514 (4 double cabins), built in 2013 by Robertson & Caines, is capable of hosting up to 8 guests and can reach a speed of 20 knots. 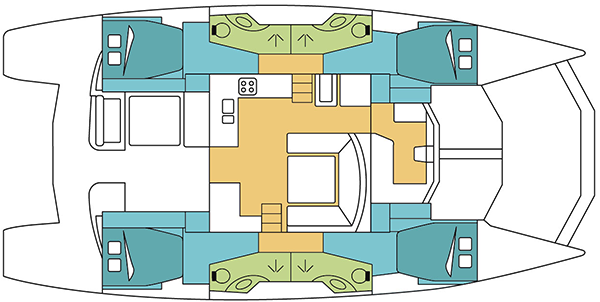 Further more, and for a complete motoryacht charter experience, Leopard Power 514 comes with 2x350 Hp engines. 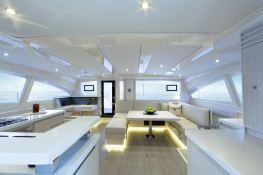 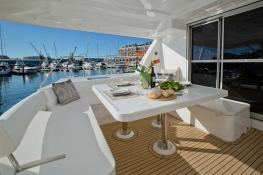 This motoryacht is available for yacht charter with a base price of 12 100 € (approximatly 13 646 $).